Courtney stars, but will he stay? James Courtney has starred for the Holden Racing Team at the Castrol Edge Townsville 400 after revealing he is considering leaving the Virgin Australia Supercars Championship to race overseas in 2017. The 2010 Supercar champion finished second this afternoon, benefitting from an inspired late-race call by engineer Robbie Starr to swap to fresh tyres during a safety car period with only a few laps to left to run. Courtney pitted from seventh position, re-emerged in ninth and charged through to finish second, pipping defending Supercars champion Mark Winterbottom in a drag to the line. 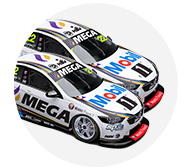 The result was a vital boost for HRT, which has been enduring a painful rebuild in 2016 and a run of poor results since Courtney’s win at the Clipsal 500. This is also a year where HRT is waiting to find out if its factory backing from Holden will be renewed, while both Courtney and team-mate Garth Tander’s driving contracts expire. Courtney told news agency AAP he's contemplating several options for his future, including leaving the Australian championship to race overseas. "Just weighing it up, it's a big move for the family,” he said. "Depending on which option it is, it could still be back here with one of them. Just toying it up and seeing what we end up doing." Holden’s decision on the structure of its future motorsport involvement could play a big role in his decision, Courtney confirmed. "It has quite a big influence as to what happens," he said. "A lot of it is waiting to see what they're going to be doing. Just waiting to see what that options going to be and we'll go from there." Post-race Courtney said he had some initial doubts about Starr’s call when he was the first to peel out of the queue and head to pitlane on lap 63 of 70. “When Robbie said pit with seven laps to go and I was watching and those (leading) guys didn’t go in in front I thought ‘Jesus’. Thankfully pretty much every one came in behind us so it worked pretty well for us. “Then it was a case of not going too crazy in those first couple of laps when every one was bunched up and then pick your way through. Courtney acknowledged the importance of the result for HRT and team boss Adrian Burgess, who has borne the brunt of public criticism for the team’s poor results this year. “There is a lot of pressure on all the blokes and Adrian probably looks about three years younger. Courtney is ninth in the championship, nearly 400 points off the pace of leader Jamie Whincup. 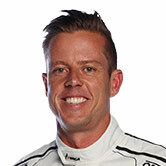 Tander is 10th.